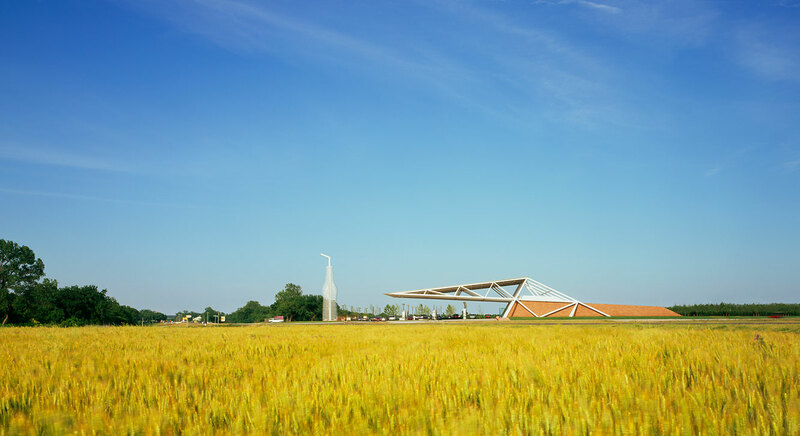 With a country as vast and widely-spread as the USA, to stand out designers need to do something different, particularly when it comes to a rest stop on the renowned Route 66. 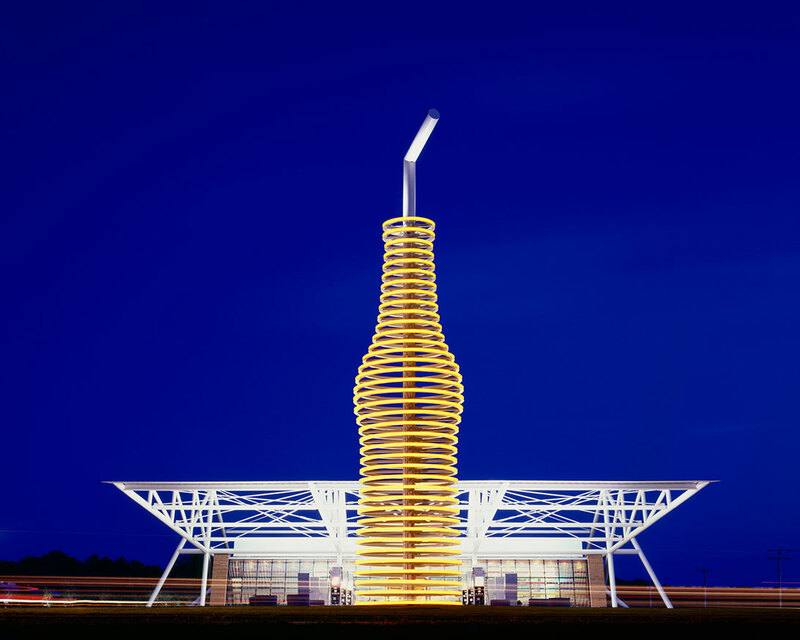 Pops Gas Station located in Arcadia, Oklahoma, gives travellers another reason than gas to stop with a 66ft-tall soda bottle out the front. The towering structure glows neon at night time with LEDs, shining like a beacon to light up the iconic highway. Headed up by Rand Elliott, architecture practice Elliott + Associates are the masterminds behind this eye-catching structure. 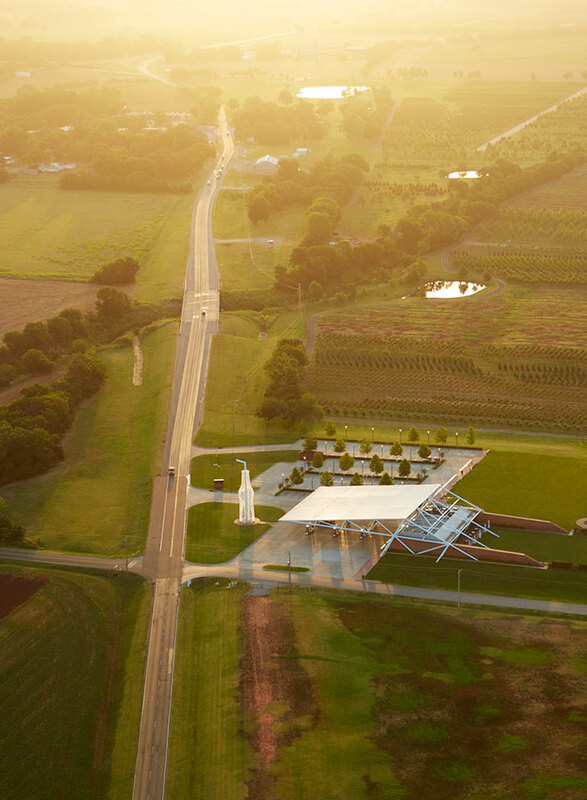 The practice aimed to, 'portray the image of freedom on the open road' and create a 'Route 66 icon for the next generation of explorers'. 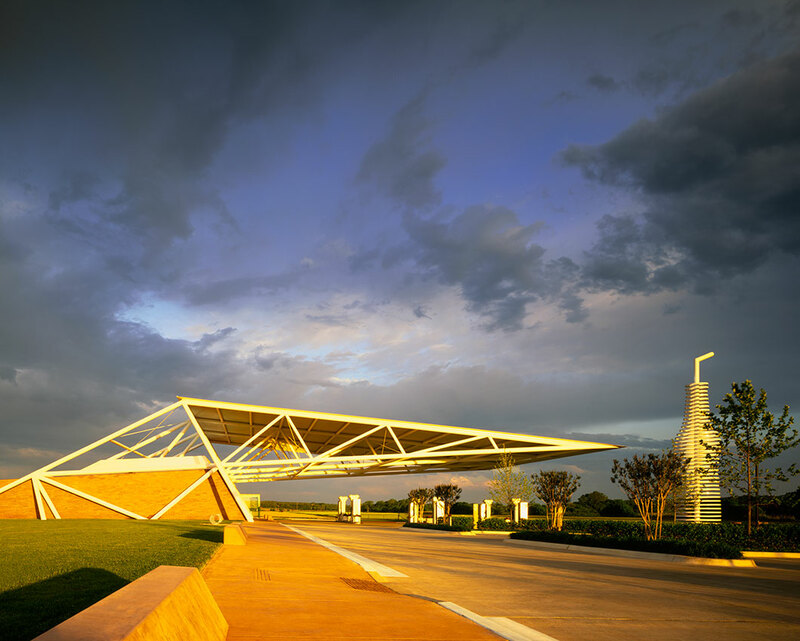 Completed in August 2007, Pops Arcadia covers 5,500sq ft. 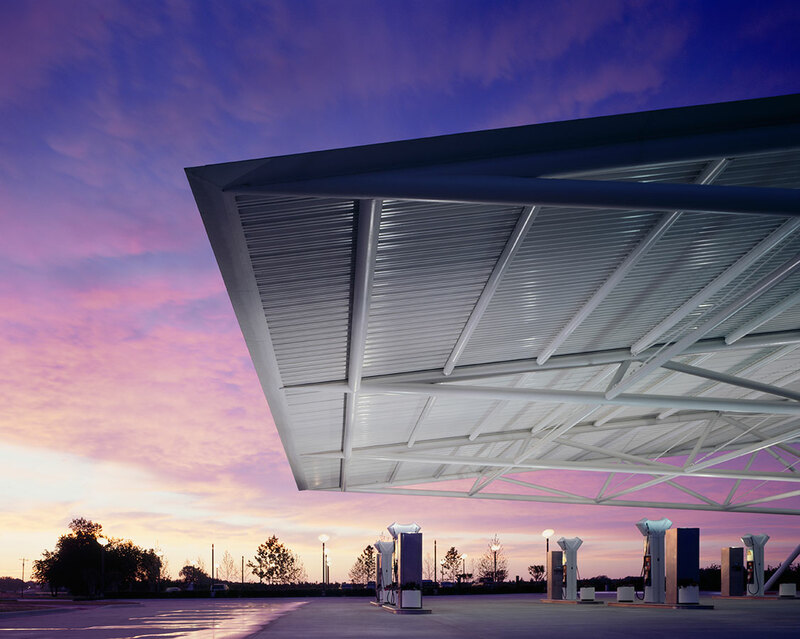 The building features a cantilever design that provides shelter to the gas pumps. Here, the large overhang works aesthetically and functionally. Covering the entire floor-to-ceiling windows are rows and rows of differently-coloured soda bottles. Step inside and visitors are met with an American diner-styled interior, plus a souvenir shop.